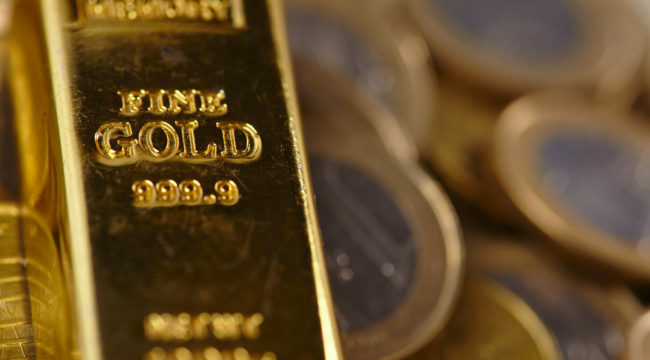 Gold is set to benefit from a “perfect storm” of dwindling investment alternatives and greater investor risk, according to the August report of the World Gold Council (WGC). It says central banks are increasingly pulling out all the stops to stimulate growth, which has driven yields on government bonds to absurdly low levels. Fewer than 40% of government bonds around the world available to average investors have a positive yield, and only 17% yield more than 1%. This is all extra evidence that we’re living in the early days of a strong bull market for gold and mining shares. So far this year, gold prices have moved up by just under 30%. There appears to be solid, market-based support for gold prices. New gold supply is contracting. Plus, there’s continuing demand for yellow metal from China and the West — and certainly from the U.S., for investment reasons. There’s also demand from Europe, due to uncertainty about the euro, the European Union post-Brexit and general sociopolitical problems there. This along with central banks across the globe pursuing low interest policies and “negative rates,” which tend to reduce the holding costs for gold. Thus, it’s all good for gold. If anyone knows about gold investing, it’s John Hathaway, manager of Tocqueville Asset Management and its family of gold funds. In his recent quarterly letter, Hathaway makes a strong case for owning gold and gold-related shares, based on all these factors. First, he says the central bank “war on savings” is driving investors toward safer, alternative assets like gold. Second, at zero interest, bonds no longer offer a “stability hedge;” thus, investors migrate to other assets like gold. Finally, he also says there’s a growing shortage of physical gold in the world, and even modest increases in buying for delivery will drive prices much higher. In the medium and long terms, I and my partner at Rickards’ Gold Speculator, Jim Rickards, are very optimistic about where gold prices are heading. We’re especially optimistic about how investors can obtain high leverage to value from well-selected small-cap mining plays. And according to Investor’s Business Daily, the mining sector ranks No. 1 — “firmly” — this year among 197 industries tracked by that news source. Most of the biggest gains have come from thinly traded stocks priced under $10. But if you missed gold’s price climb of over 28% between January and now, it’s not too late to climb aboard, according to Sean Boyd, CEO of well-regarded miner Agnico Eagle Mines Ltd. According to Boyd, “I think in this cycle, [gold prices] will ultimately set an all-time high. There’s still a tremendous amount of debt in the system,” according to Boyd. He also could have mentioned gold’s increasing scarcity, which I addressed earlier. Read on to learn how rapidly dwindling gold supplies will force prices dramatically higher as new gold supplies struggle to keep up with exploding demand. Do we have the recipe for $10,000 gold?